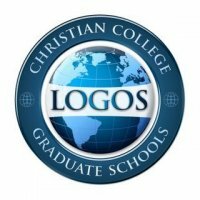 Faith Christian College (FCC) is affiliated with Logos Christian College and Graduate Schools through Logos Educators Network (LEN), providing curriculum and support for educational ministries, both nationally and internationally. FCC is a solid, Bible based, Christian Bible College; it is a catalyst to help propel men and women into their own areas of ministry. In order to reach the world with the Gospel of Jesus Christ, Christians must have firm understanding of what they believe and why. We must also be able to articulate this whenever opportunities arise to share the good news. It is our desire to see men and women moving in the power of the Word and effecting change in their sphere of influence. FCC is founded to foundationally shape for functional purpose. FCC is designed to help fulfill the fivefold ministry of the Church as stated in Ephesians 4:11-13. By teaching both the practical and the spiritual side of ministry, our aim is to train believers how to apply the principles of God's Word, not only to benefit them in their own personal growth, but that they might be a workman who does not need to be ashamed and who correctly handles the word of truth? (2 Timothy 2:15). Our desire is to see people radically committed to Jesus to the building up of His body, and a church committed to reaching the world with the good news of the gospel. Please contact our church office at 540.349.0178 or you may fill out the form below.